One of my favorite early projects was creating this web site for my brother, Wesley. He’s a photographer and a poet, and wanted a way to creatively present that to the world. 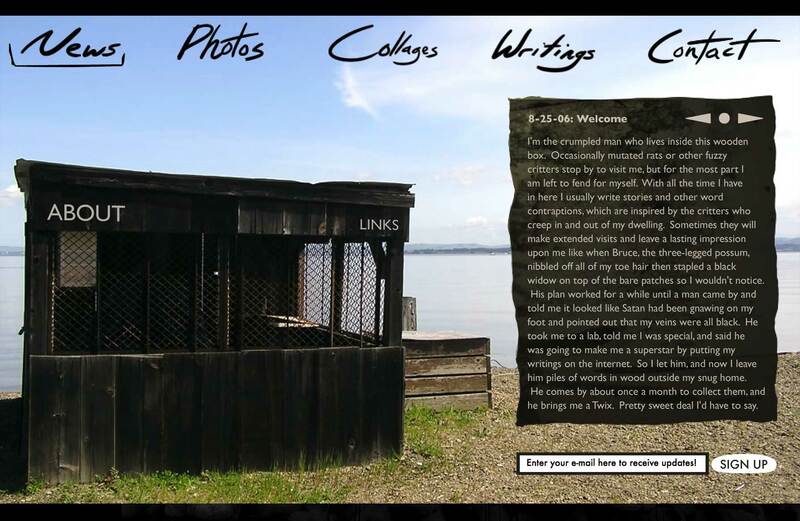 So we worked together to make this animated site that designed around photos he’d taken. If you visited the photo gallery, a pelican would fly by and drop the thumbnails into a clickable grid.